Ron Nurnberger Qualifies For Entrance Into the FSA Hall of Fame!! Ron Nurenberger now joins six others being inducted into the FSA Hall of Fame on January 14th. 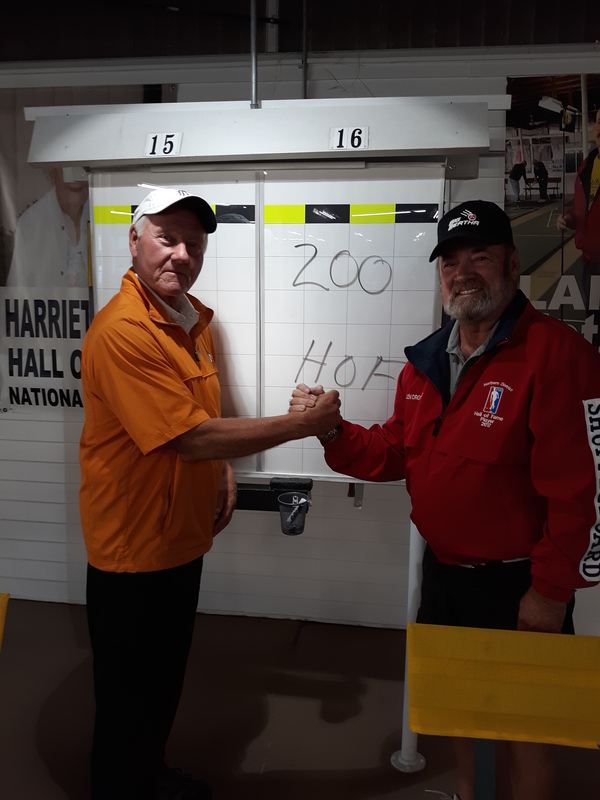 Partnered with Allen Dronsfield, Ron and Al battled one team after another as a result of being in the lower half of the chart to reach his 200 points. More information on that after the tournament ends. For now it’s Ron’s great moment as he now is in a duet role with wife Pam, I’m not sure about past records but Ron and Pam could be the first husband and wife being inducted at the same time. As Ron and Pam walk hand in hand through life they’ve just added this adventure to that journey. 3 Responses to Ron Nurnberger Qualifies For Entrance Into the FSA Hall of Fame!! Pat and Doug Stockman entered at the same time last year. Pat and Doug were inducted into the Central district Hall of Fame. Pam and Ron will be inducted into the Florida State Hall of Fame. Great article and great news. So happy for Ron on his achievement.